If this design does not suit your needs, please feel free to ask. We have a vast range of jewellery available Direct to You. This design is available in white/yellow gold mix also, 14 and 18ct also Platinum. 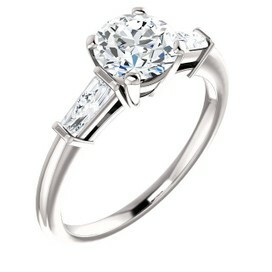 Center diamond sizes available from .25 ct up to 1.0 ct.
Take care and enjoy Viewing! !